Every guy deep down wishes they were James Bond. The cool, suave personality, the high tech gadgets, the cars, and of course the gorgeous women; pretty much everything 13 year olds dream of. Okay, not just 13 year olds. Admit it, whether it was driving down a dirt road in a beater, pretending it was an Aston Martin, or just sitting down to play casino games with your virgin martini (or Heineken) clutched in one hand, imagining your opponent on the other side of the table is a pasty faced villain with a bleeding eye, you've imagined yourself in Bond's shoes. And so, with Skyfall, still months away, now seemed like the perfect time to fill the void with my list of the Top 6 Things That Makes Guys Wish They Were James Bond. I'm sure there are several who would argue against this being on the bottom of the list. But the simple fact is that gorgeous gals aren't unique to James Bond. If that's all you're daydreaming about, you might as well be any Hollywood star. That said, there is something that sets them apart. Before any women out there start hating on me for this part of the list, relax, it's all about the personality. There are plenty of jaw dropping ladies in the world, but how many can match Bond, step for step in intelligence, sophistication, and the ability to kill you without leaving a trace? Of course, by this point Bond is a walking STD. All the more reason why this area, is best left to the bottom of the list. As with the women, with Bond, it's all about how he carries himself. I sit down to a round of poker or some other casino games, my tells show a thousand different ways. Bond sits down to a round of poker, he's simultaneously playing the game, working a crowd, and infiltrating a terrorist organization. He's calm and collected; quick with a wry joke, and never bats an eye when bullets are flying over his head. 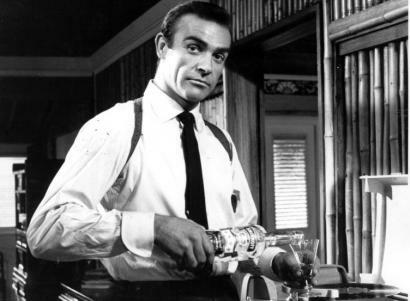 When he says "shaken, not stirred" he owns it. When any of us say it, we just sound like goobs. It's all about conviction, and James Bond owns everything he does. It would be easy to focus solely on the cars he drives. But throughout all the films, he travels any number of ways. Helicopters, jets, submarines, motorcycles, speed boats, blimps, etc. Heck, he drove a moon buggy, for crying out loud. The British train them right, since he can apparently operate any vehicle as he has need. Course it is ultimately about the cars, and the chases, and the fantastic gadgets in them. While the Aston Martin is the one we tend to think of in relation to Bond, he's driven a plethora of amazingly beautiful cars. Not to mention that any of us who's spent time in a car with someone we didn't like have dreamed of having an ejection seat. I'm not going to argue as to who's the best Bond (though for the record it's Sean Connery). Each variation comes with their own personality, imparting to the character, their own touches. One thing that's uniform though is the style. Perfectly cut suits and formal wear that's still tailored to perfection. The shear amount of money that Bond must shell out each year in clothing alone is boggling. Especially since it's probably written off as a business expense that the taxpayers have to foot. Some might argue the placement of this above the cars, but if you think about it, he's only driving a little here and there. Most of the time, the action takes place while on foot. Anyone can look good in a Bentley, but it's a little harder when huffing it from one side of a villain's complex to the other. Bond puts such a high value on appearance, it has to sit high on the list. James Bond inhabits a world of high tech gadgetry. Aside from the scenes where Q explains the latest inventions to him (the best part of the movies) Bond throughout the films is introduced to cool gizmo after cool gizmo. Sure, some of them like the garrote watch are ultimately used to try and kill him, but they always get turned around on the baddies. 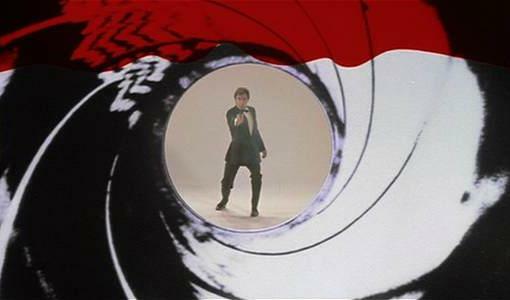 And even if you find yourself on the end of Oddjob's bowler hat, you'd have to admit it was pretty dang cool. Than, there's the rocket belt, which could also be classified under transportation, but is just about the coolest gadget ever. And what secret agent dream would be complete without a pen gun? Well, I ask you? I'm not saying you would kill someone or that you'd even want to. It's not like Bond took out the paper boy just cause he threw his paper in the bushes one too many times; or at least, not that we know of... But having the legal ability to mow through as many bad guys as you have need within the space of a 2 hour action fest is more than enough reason to put this at the top of the list. Double Oh Seven, is a huge part of what makes the character. With everything else that comes with the job, he has the responsibility of dealing death to those who would take him out in a heartbeat. It's all the action, all the danger, and all the intrigue that makes his martini swilling, well dressed, self confidence, all the more fantastic. So while most of us wouldn't dream of actually killing someone, it must be said that there's something for holding that elite status. Well, what do you think of the list? Did I miss putting something up or screw up the order on the list? Fire away let me know. 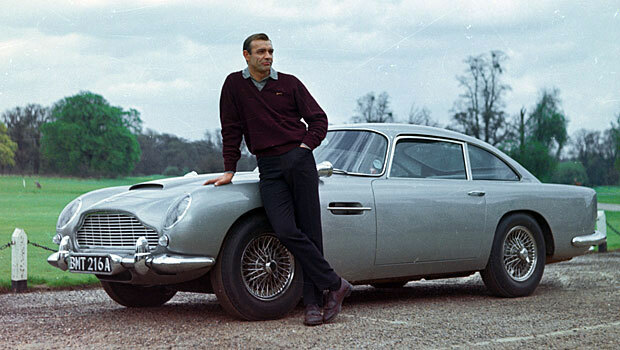 As I am not a boy I can't speak to the validity of the list however I am with you 100%.....Sean Connery was the best James Bond ever!!! If I were a man, I'd think you nailed it with this list. Loved how you said "top 6 things" then started with #5, I was all ready to comment about it but then saw your genius in doing 5-4-3-2-1-0.07!!! Great fake out. Good stuff. 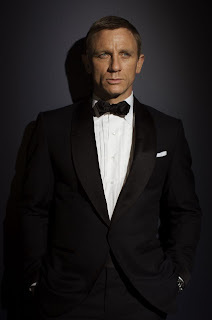 I'm a huge bond fan and am excited to finally see a new installment at the end of this year. 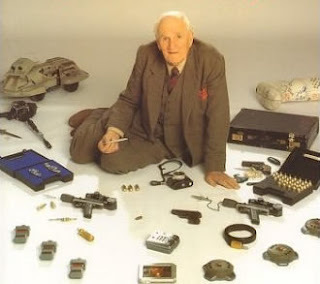 I always wanted the cool spy stuff too, though I have to admit I haven't seen James Bond yet. Am I behind or what? Not gonna lie, I've fantasized about being the gothy version of James Bond before. :p Not just the guys. lol. all said and James's harem tends to bring out the feminist in me...but the cars, the nonsensical plots, the clothes ...I think you said it all. I am surprisingly good with the order of things...bravo ol' chap!